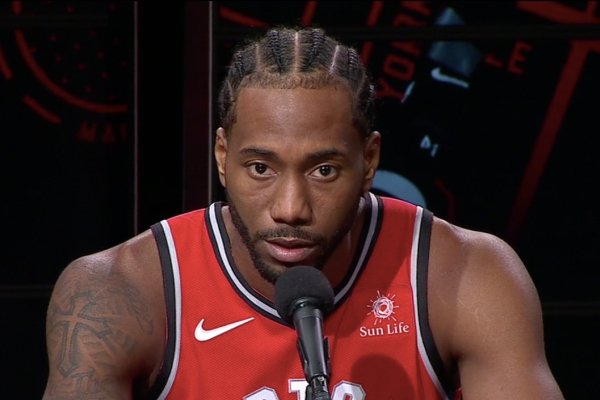 Toronto Raptors star Kawhi Leonard spoke out Sunday and addressed critical comments from Spurs coach Gregg Popovich that Leonard was not a leader during his time in San Antonio. Popovich understands Leonard’s value, having coached him for seven seasons but he did comment that leadership wasn’t his forte. Yes, Kawhi Leonard may be on the more quiet side but he still considers himself a leader. He has helped the Raptors reach a league-best 17-4 record. “I lead by example coming into practice every day. Just going hard and coming into these games mentally focused,” said Leonard. “You can’t see things once you’re playing on the floor. Guys ask me questions about their matchup, or if I see something on the floor, I’m telling guys, ‘Go here, go there,’ just motivating people. Leonard appears to be back in top form. He is averaging a team-high 24.7 points a game on 47.5 percent shooting with 8.5 rebounds, 3.0 assists and 1.7 steals. The Spurs, on the other hand, are 9-10 and in the middle of a tightly packed Western Conference. Leonard is expected to make his return to San Antonio when the Raptors visit on Jan. 3.